Religious Jewish terrorists on Thursday attacked a small Arab village north of al Khalil (Hebron), shooting randomly on civilians and vandalizing homes and businesses. 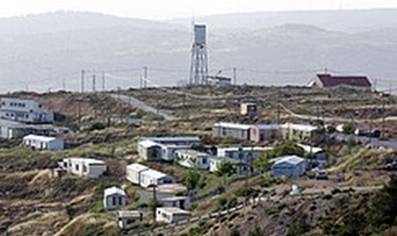 Eyewitnesses said as many as a hundred settler terrorists descended on the small village of Safa, 10 kilometers north west of al-Khalil, with the purpose of carrying out a pogrom against local inhabitants. The Palestinians, fearing for their lives, hurled stones at the rampaging settlers to prevent them from setting fire to Palestinian property, prompting Israeli soldiers to open fire at the Palestinians. At least 28 people were reportedly wounded with live ammunition, including a boy who was shot in the chest. Medical sources said Thaer Nasser Adi, 17, was in serious but stable condition at the Ahli hospital in al–Khalil. Sabarna said the settlers wanted to terrorize the Palestinian villagers in order to take over their land and property. He accused the right-wing Israeli government of giving Jewish terrorists a green light to attack Palestinians and vandalize their property. Al-Khalil Governor Hussein al Araj, who arrived at the village soon after the disturbances, accused the Israeli army of failing to protect Palestinians from the settlers. Al-Araj held the Israeli army fully responsible for this “pogrom,” saying that Palestinians in the occupied territories needed international protection. The small settlement outpost, known as Beit Ayn, is home to extremist settlers who are indoctrinated in Jewish supremacy. A few years ago, some of the settlers from Beit Ayn were caught implanting a large explosive charge at a Palestinian school near Jerusalem. The explosion would have killed and injured dozens of Palestinian children. Last week, a settler was killed, ostensibly in retaliation for the murder of Palestinians by settler terrorists. Normally, the Israeli justice system deals extremely lightly with settlers who murder Palestinians. During the al-Qsa intifada, the Israeli army and paramilitary Jewish terrorists killed thousands of Palestinians, the vast majority of whom innocent civilians, to suppress Palestinian aspirations for freedom from decades of the Nazi-like Israeli military occupation. According to an Israeli human rights organization, only a handful of cases of murder were investigated.